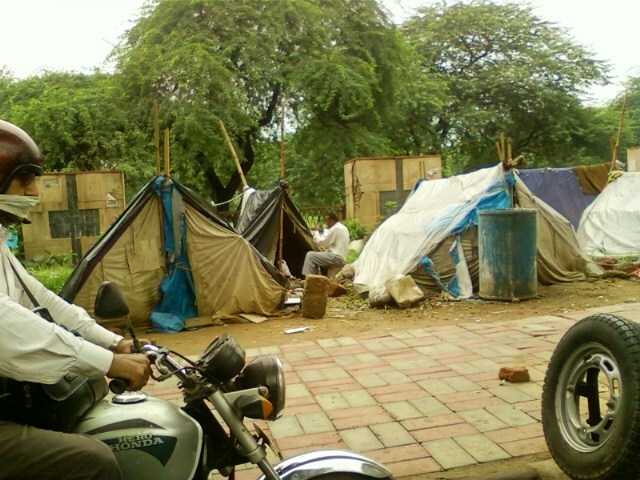 There's a small tent city that has popped up along the roadside recently. I think most of the city dwellers are construction laborers. It's hard for me to fathom what living along a major road way would be like, thousands of vehicles passing by every hour. And for this man to just sit there, calmly trimming his mustache like no one else can see him--that's an amazing sense of personal space he has.